Home to a natural bounty of ingredients it should come as no surprise that Canada’s Atlantic province of New Brunswick is becoming one of the most celebrated foodie haunts of North America. From Beausoleils oysters farmed in floating trays off Miramichi Bay to oversized scallops and clams picked from the Bay of Fundy the region is flooded with delicious seafood that when paired with other local delicacies such as fiddlehead ferns and even tasty seaweed captures everything from the ridiculous to the sublime. And when you factor in a healthy supply of some of the best maple syrup in the world, an abundance of wild berries and a plethora of craft beer breweries you get a supply chain that would make most chef’s salivate. Little wonder, therefore, that at the tender age of 22 the talented Chef Alex Haun made an early homecoming after opening his first restaurant in his home town of St. Andrews. Moving the site to Kingsbrae Garden shortly after to create Savour in the Garden he uses the floral backdrop to create monthly tasting menus using fresh and local ingredients from his own farm, gardens and other local suppliers around New Brunswick. Last month I had the pleasure to visit the restaurant for what turned out to be one of the best lunches I have eaten this year. 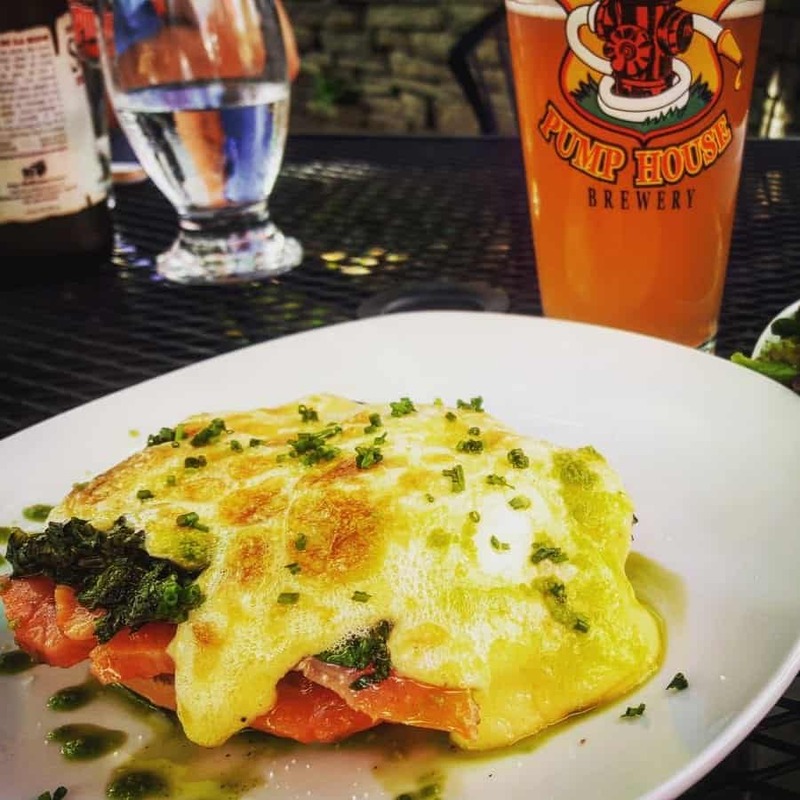 The Steelhead trout bagel benny payed homage to its provenance in a tweak to the classic eggs benedict (benny) and salmon with a mouth-watering hollandaise sauce and 63C circulated egg that laid sprawled and slightly tanned atop of a spinach and trout bagel. Paired next to a Radler from Moncton brewery Pump House it was a stunning dish that deserves endless plaudits. But it really only scratches the surface of what Chef Haun is capable of delivering. To date he has 12 culinary Gold medals to his name with 5 international wins from competitions such as the Nations Cup in Grand Rapids Michigan and the Culinary Olympics in Erfurt Germany. With recommendations from New York Magazine among others it is clear that Haun’s brand of cooking is bound for great things.